Today, the New York City-based don’t-call-me-an-incubator incubator known as betaworks is launching its latest startup following its acquisition of Digg this past summer. Betaworks is primarily focused on media startups, especially those playing at the intersection between social media and publishing. Digg would be one, Branch being another, Rap Genius, which recently raised $15 million being a third. And now today we have the launch of Swirl, an app that creates photo albums from social networks. Not sure that betaworks got the memo that the group photo-sharing market is a little over-saturated, but then again, they did just buy Digg. What exactly does Swirl do? It essentially indexes every person (and cat) you follow on Twitter and Instagram, placing their tagged photos into sets, appropriately called Swirls. 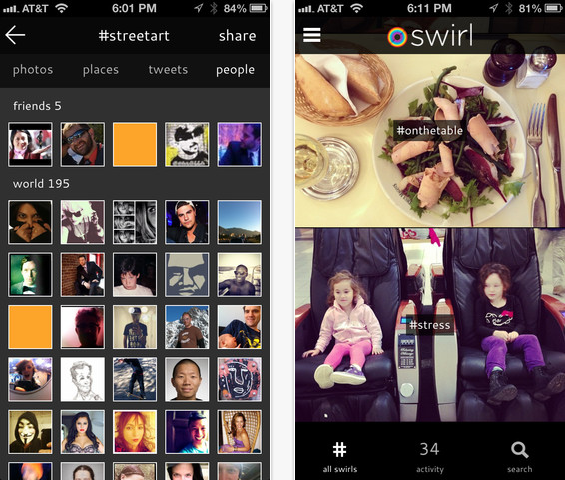 Users create a photo set on Swirl every time they use the same hashtag on Twitter or Instagram with their friends. The startup’s website is currently showing public photos (here are photos from #Sandy, for example) but obviously once you sign into the app, it takes it to the next level and begins filtering from your friends’ swirls. Swirl advisor and former Aviary COO Paul Murphy tells us that there are multiple group photo sharing apps out there, each taking a slightly different approach to the problem. One app may require users to create a set and invite friends to join, while others algorithmically guess how photos are related and auto-create sets of photos for you. 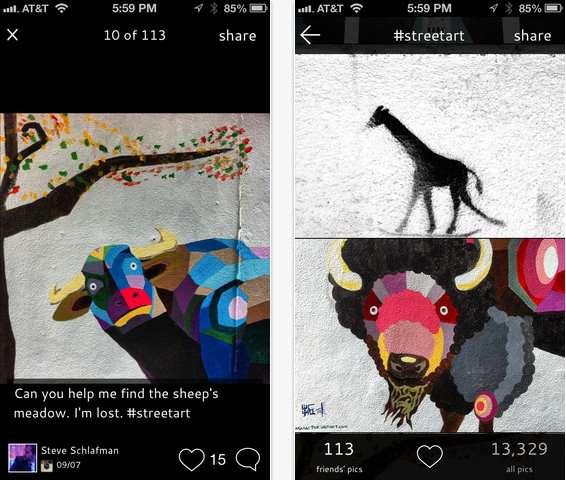 Swirl, on the other hand, creates a photo set from a shared hashtag among your friends. Murphy says that Swirl has seen some intriguing photo sets created in beta thanks to Sandy and the presidential election. But beta users are also using it to tag everyday events, with Swirl creating a group album from those events, so that you can see all the hilarities from my daily life as a blogger in #ripsaysthingsontheinternet, for example. But the reason that social software developer and Swirl founder Summer Bedard thinks the app has potential? Because, as it stands, there’s no frictionless way to view and share a collection of social photos without asking users to change some part of their everyday behavior, like posting the photo in the app instead of using Twitter or Instagram. With Swirl, the idea is that you can just keep doing what you do, using the categories you’ve already established to tag tweets and instagrams that actually mean something. Right now, Swirl is iPhone-only, but web and Android versions are on the way. Find Swirl on the App Store here.